AECOM, a world-wide transportation consulting firm, currently administers the operation, outreach, marketing and customer service support for CTrides, Connecticut Department of Transportation’s commuter assistance program. AECOM will coordinate and supervise all vendor services to fulfill program needs as established by CTDOT. CTrides is the commuter services program of the Connecticut Department of Transportation (CTDOT). Since 2011, AECOM has operated this state-wide program to help reduce traffic congestion and improve air quality in the State of Connecticut. To achieve these goals, CTrides encourages commuters and other travelers to use choice commuting modes instead of driving alone. Choice commuting modes include bus, rail, carpools, vanpools, biking, walking and telecommuting. CTrides provides information and individualized support through a variety of programs. It’s primary means to reaching commuters is through an extensive outreach program to employers throughout the State. It encourages employers to participate in a number of CTrides activities that educate, inform, incentivize and demonstrate to their employees the value and importance of using choice commuting modes. CTrides currently works with over 260 employer partners from the public, private and nonprofit sectors. The following is a summary of CTrides programs and services. Worksite Activities for Employees – CTrides operates a number of services for employees that help them identify and use choice commuting modes. See CTrides.com/Ways-To-Commute. CTrides provides a ridematching and rewards program for commuters to find a carpool and allows members to record their trips on choice commuting modes to earn points that can be redeemed for retails discounts and chances to win periodic raffles. In addition, CTrides conducts various worksite activities as follows. Annual Events – CTrides outreach staff conduct activities at worksites in association with annual events such as Earth Day and Bike to Work Day. Ridematch Service – an interactive service that allows employees to find a carpool match for their specified commuting routes. Emergency Ride Home – a free ride home for employees who use eligible transit services and other choice commuting modes in the event of an emergency that requires them to travel home at times other than their normal commuting times. Transit Rewards Program – a separate retail discount program for eligible transit riders. 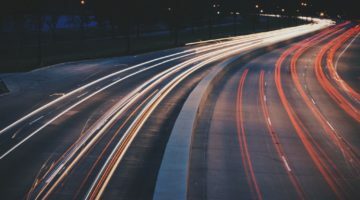 Drive Less Connecticut Competition – a month long competition held in May to challenge employers to engage the most number of their employees in using choice commuting modes in order to reduce the number of cars on the road and improve air quality. See drivelessct.com. Transportation Showcase – an annual business event to encourage networking among CTrides Partners and to educate businesses about developments in transportation that impact them. This 2 hour event is held in June at an interesting venue such as the Yard Goats Club at Dunkin’ Donuts Stadium. Other services – MTA Metro-North Railroad’s New Haven Line connecting New Haven to Grand Central Terminal in New York City, and Amtrak’s Northeast Corridor service connecting at New Haven for service north to Boston and south to New York and Washington, DC. CTrides is in the midst of revising and expanding many of its marketing and outreach activities to update its information, improve its communication strategy, coordinate several discrete but complementary activities, increase awareness of its brand, and add new service offerings that will increase participation of employers in its programs and shift more employees into choice commuting modes and away from driving alone. CTrides is looking for an experienced and strategic marketing organization that can advise it on the development and implementation of the following initiatives. Overall Marketing Strategy Support – AECOM is seeking to develop an overarching marketing strategy that will help build brand awareness and create a unified look and feel to its program. It conducts numerous worksite and statewide activities as well as utilizes a number of consumer and business facing communications outlets for inform, educate and promote its messages. The successful bidder will help AECOM create a new marketing strategy that will be utilized in all its activities and communications to foster it mission. Finally, CTrides will be running promotions and messaging to various types of travelers, employees, college students and general travelers, encouraging their use of choice commuting modes. DKC PR and Hunter PR have relevant experience.